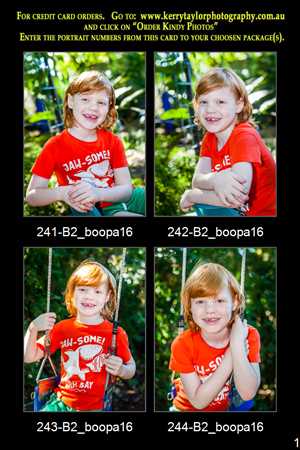 You will need your Portrait Sample Card with your childs 4 proofs to complete your order online. You can collect this from your kindergarten centre after the photo day. All orders are delivered to the Kindergarten centre 2 weeks after the closing date.